While there has been an uncountable number of leaks about Samsung’s and Huawei upcoming phones with pinhole cameras, Vivo, on the other hand, is also gearing up for the launch of the successor to its bezel-free Vivo Nex released months ago. We are talking about the Vivo NEX 2, which we already confirmed will be marketed as the Vivo NEX Dual screen. Through official teasers and even leaked renders, we have got to know that the Vivo NEX dual-screen version will be featuring dual screen all in a bid to shrink the bezels down to almost nothing. With the dual screen in place, it means there won’t be any need for a selfie camera, not even one embedded into a notch or on-screen, instead, Vivo will be fitting a triple camera set up above the secondary display, and with that, you can take selfies and normal shoots. Now, while we are yet to get any hin on its launch date and even its internal makeups, a new video of the Vivo NEX dual screen version has leaked online, detailing how users can toggle between using the camera above the secondary display for use both for selfies and normal shoots. The process is quite simple and not complex. All a user has to do is to make a three-finger swipe on the active screen (whether front or back) to activate the opposite one. 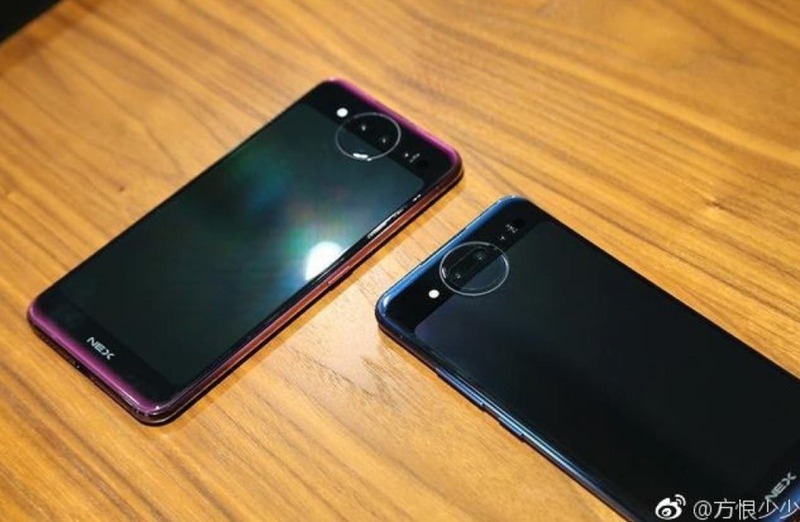 According to previous reports, the device will come with in-display fingerprint scanners, 5.5″ rear display, as well as support for up to 6 black technologies including intelligent starlight, suspended particles in photos, super-engine triple-camera, glove mode support for gaming, dual-brain robots, and 3D beauty face-lifting devices. Smartphones with dual screens are nothing new, only that they have not been widely adopted by the bigger industry players, but that could be changing in the coming year, especially as OEMs search for a better means of completely doing away with screen bezels. We would keep you updated on more details Vivo NEX dual screen version, as well as its release date.